Indian Railways’ ticketing arm (IRCTC: Indian Railway Catering And Tourism Corporation) offers a platinum card in collaboration with the country’s largest lender (State Bank of India: SBI) that enables you to save while booking the train tickets, buying petrol at petrol pumps, and making purchases at departmental stores. The IRCTC SBI platinum card enables you to earn 4% of the value back reward points. The total number of value back reward points on the IRCTC SBI platinum card jumps to 10% when the train tickets are booked in an air-conditioned train. The annual one-time fee for the IRCTC SBI platinum card is Rs. 500, and Rs. 300 is charged on the IRCTC SBI platinum card as renewal fee per annum. The sbicard.com entitles you to ascertain the benefits on the IRCTC SBI platinum card. 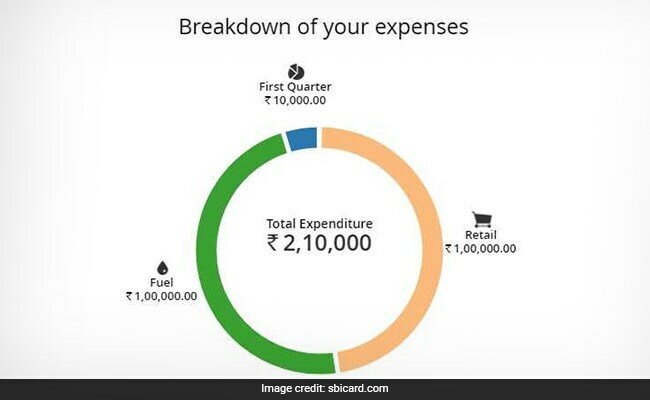 As you mention the details of total expenditure incurred on the train tickets along with the expenses incurred on petrol and other purchases, you can actually ascertain the total amount of benefits. For instance, if you happen to spend Rs. 10,000 on AC tickets in one quarter (See the visual above), and spend Rs. 1,00,000 on fuel and another Rs. 1,00,000 on the purchases on departmental stores, travel, electronic items, then you stand to receive the cash benefits amounting to Rs. 1,380 and 1,630 reward points (See the visual below). 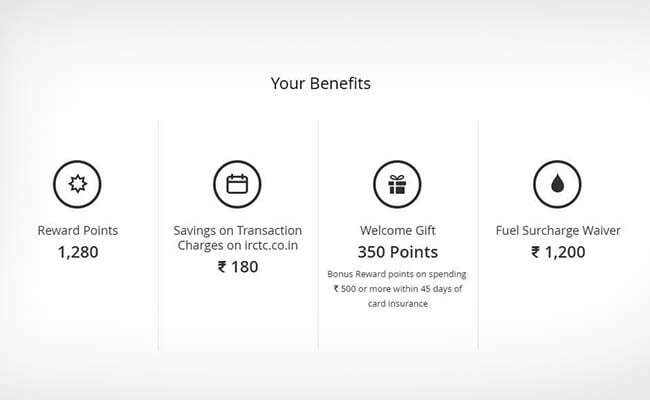 The SBI Platinum card holder stands to earn Rs. 180 on savings on transaction charges besides Rs. 1,200 on fuel surcharge waiver. B. One will be spared to pay the 1% fuel surcharge across all petrol pumps in India, on transactions of Rs. 500 to Rs. 3,000, exclusive of GST and other charges. C. The card allows you to use the interest free credit period of anywhere between 20 days to 50 days. But this is applicable only on retail purchases and if previous month’s outstanding balance is paid in full. D. Besides this, one can access a cash advance limit of upto 80% of the credit limit, maximum upto Rs. 12,000 per day.